This DIY braided crib bumper is an inexpensive yet thoughtful gift your recipient will surely appreciate. Giving gifts can be difficult sometimes, maybe because I really think about it long and hard. I don’t want to give a gift just for the sake of giving. I want it to be something that the recipient will truly appreciate and love. Because it’s DIY, you can choose the colors that you want! My friend recently had a baby and during her baby shower, she received a lot of gifts – the usual. To celebrate, I wanted to give her something more special. So off I went to research on unique baby stuff and I came across a DIY project for a braided crib bumper. I fell in love at first sight. Not only is it super useful, I can personalize the colors, too. I made several braided bumpers so she’d have something to use while the other is being washed. If you’re looking for a practical, inexpensive, yet really useful gift, I’d recommend you make this one. It’s so easy! 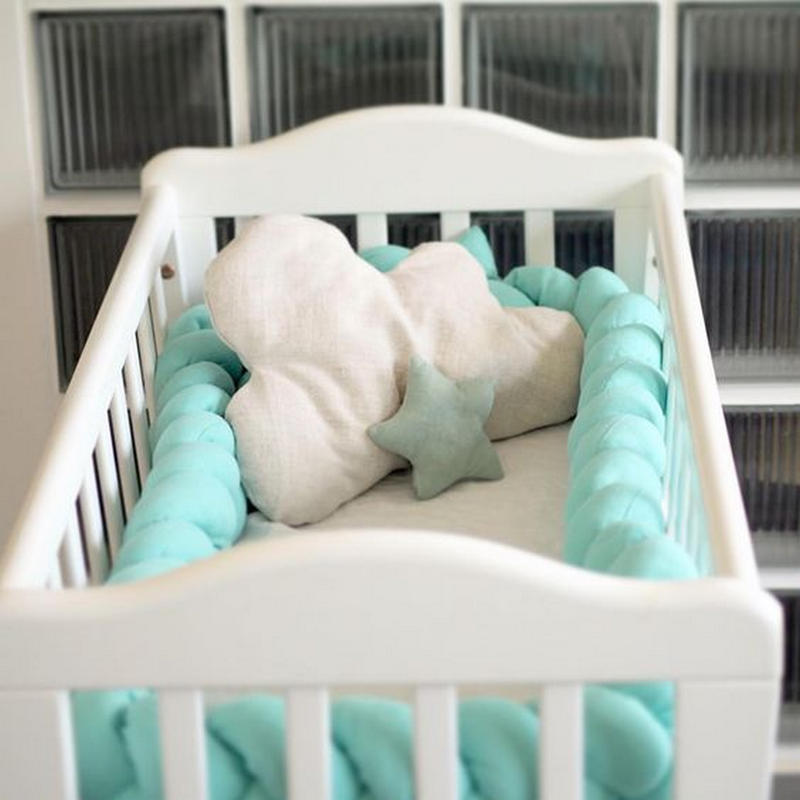 Watch this video so you can start making these adorable braided crib bumpers!